How can you tag the classic blues turnaround lick onto your solo to give it that slick, ‘finished off’ sound? In this episode of the ASK JAMES GUITAR SHOW I’m going to show you exactly how to do it. How to practice this skill…for speedy results! 0:25 What is a ‘turnaround lick’? Here I answer this question and demonstrate the turnaround lick we’re going to be using. It’s in the key of G and I’m going to demonstrate it over a 12 bar blues in the key of G.
1:12 Here’s how to play the G blues turnaround lick we’re using in this lesson. 2:18 The lick begins on beat 2 of the 11th bar of the 12 bar blues. So you need to improvise up to that point before dropping seamlessly into the turnaround lick. I’m going to demonstrate how to do this over a 12 bar blues backing track. 3:21 Here I explain what I did in my improvisation. Also how to learn to ‘feel’ when it’s time to begin the turnaround lick. 3:44 If we isolate the final 4 bars of the 12 bar blues and practice playing round and round over that section it focuses our attention on combining the lick in with our solo. Do this unaccompanied at first. Then take a 12 bar blues backing track and loop the final 4 bars around so you can play over it. 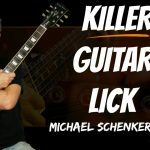 5:07 Another tip for tagging your turnaround lick onto the end of your blues solo. 5:46 The ‘turnaround’ isn’t just a lick! It’s actually the final 2 bars of the 12 bar blues chord sequence. You don’t have to play a ‘turnaround lick’ there at all if you don’t want. It’s fine just to carry on your solo. Hear me demo this approach. CLICK TO WATCH THE ‘BLUES INTRODUCTION’ LESSON I MENTION!